Do you ever wonder if you’re doing everything you can to be seen as a strong presenter with a confident voice? 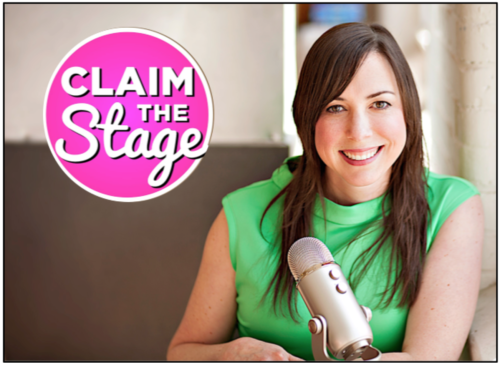 In this episode, public speaking expert Laurie Schloff teaches us how to create an effective message, how to deliver a speech like a boss, and how to get over fear and nervousness on stage. I ask her one of the golden questions I’m always asked: Can you tell right away if a speaker has what it takes to be one of the greats? We also talk about little things like dress, microphones, using the stage appropriately, how to stand, how to use your arms, and how to use vocal variety to create impact. I share a few stories about my own mistakes on stage and Laurie gives us pro tips that will help you avoid the weird things I’ve done. Enjoy! ← Podcast Ep. 21: Are You Up for an Adventure?